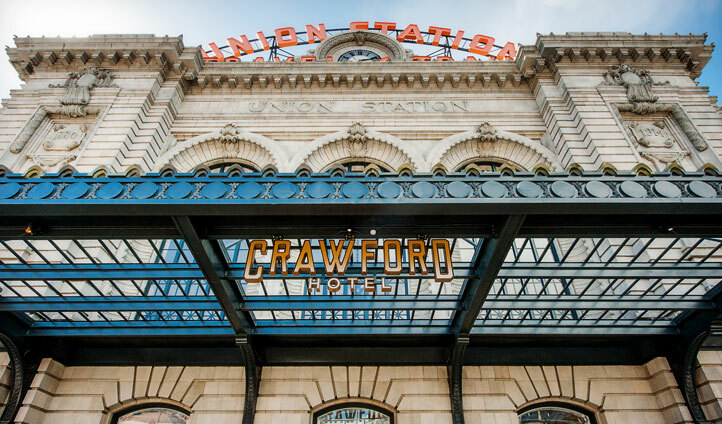 A hotel that seems to effortlessly combine the history of its setting in Union Station in downtown Denver with contemporary luxuries, The Crawford is an ideal spot to stay while you are in The Mile High City. And it just so happens to be named after the lady who has championed the rejuvenation of the area around it; a deserved accolade for work that has made a positive impact on the city as a whole. The Crawford Hotel is easily located in the heart of the Denver in Union Station, the city’s iconic transportation hub which also plays home to many top restaurants, bars and shops. While situated in a perfectly central spot, the hotel itself is an oasis of calm away from the hubbub of downtown Denver. 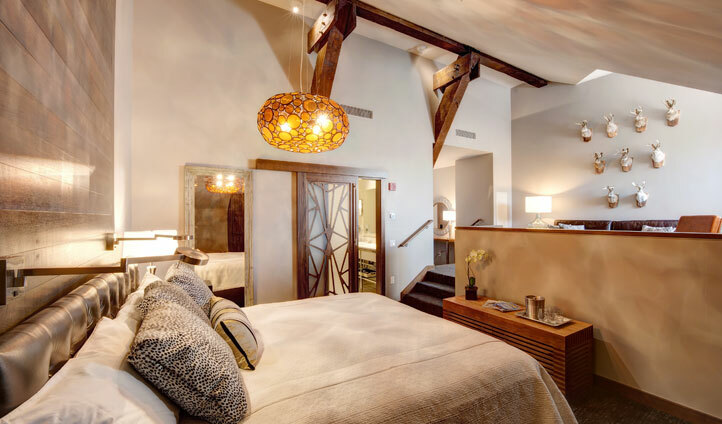 Just as this independent hotel prides itself on being one-of-a-kind, each room has the appeal of individual design. Never relinquishing the luxurious little touches, such as the regal claw foot bath tubs, heavy rain showers and delicious cotton sheets, you’ll also find unique artwork that really brings the place to life. Sleep under the exposed brickwork, vaulted ceiling and timber detailing of the Superior Loft, and get a feeling for the heritage of the building; or take the LoDo Suite for a room that deftly balances urban brushed steel furnishings and modish leather with a tasteful sprinkling of taxidermy across the walls, reminding you of the great Colorado countryside beyond. This hotel has bags of character and you’ll probably find yourself whiling away hours as you look at all the little quirks scattered around. But the best bit has to be the location here; bang slap in Union Station, an iconic centrepiece in downtown Denver, the hotel is the door step of a cacophony of cafes, bars, restaurants and shops. You may find yourself torn between relaxing in the hotel and exploring the city beyond… so it’s worth booking in for a few nights. Images courtesy of Ellen Jaskol.